(Nov. 19, 2018) – A new initiative among caregivers throughout St. Petersburg will transform the way mental health services are delivered to infants and families by taking into effect the profound and unpredictable effects of trauma. The three-year initiative is being coordinated by the Family Study Center at USF St. Petersburg (USFSP) and is funded by a $797,000 grant from the Foundation for a Healthy St. Petersburg. Partner agencies include the Healthy Start Coalition, Family Enrichment Services/Adoption Related Services, Community Health Centers of Pinellas, Operation PAR and the Maternal and Child Home Visiting Programs of the Florida Department of Health in Pinellas County. Called the Trauma Informed Infant-Family Mental Health (TIIFMH) Collaborative, the initiative will create a countywide network of skills, knowledge and understanding of how to best provide trauma-informed, family centered services to families prenatally through their child’s 3rd birthday. Being “trauma-informed” means recognizing that people often have experienced trauma in their lives, such as neglect, abuse, violence, sexual assault, addiction or chronic stress. Without the proper framework or training, well-meaning caregivers may unintentionally re-traumatize survivors. When service providers have been trained to become trauma-informed, they are more likely to create a space that is emotionally, mentally and physically safe for survivors. The training helps build capacity to deliver holistic patient care that is sensitive to how life experiences may impact current health status or behaviors. 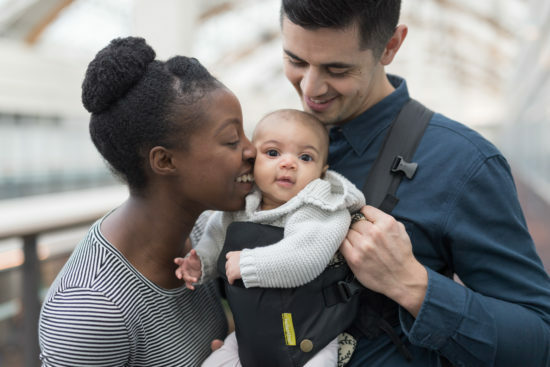 According to McHale, another crucial dimension necessary for supporting infants and toddlers who have experienced adversity and for improving their care is to focus on the child’s entire caregiving circle, such as fathers, grandparents, day-care providers and other family caregivers. The TIIFMH Collaborative’s first step will be to evaluate current practices at each of the partner agencies. Next, each partner will participate in training conducted by the Family Study Center. An innovative framework will guide mentoring, coaching and the integration of best practices in trauma-informed, family centered care for organizations serving our community’s youngest children and families. The goal is that by the end of three years, families who receive care from one of the Collaborative’s partner organizations can expect to be treated by someone who is culturally sensitive and highly trained on the effects of trauma.